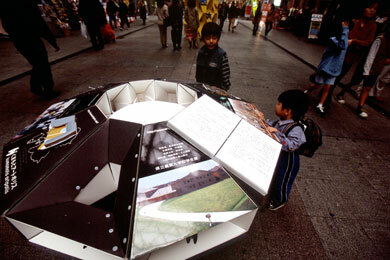 Design of a Exhibition "Kumamoto Artpolis 2000 Street Exhibition of Artpolis Toward The 21st Century". Proposal of a Communication Tool for Event Promotion. 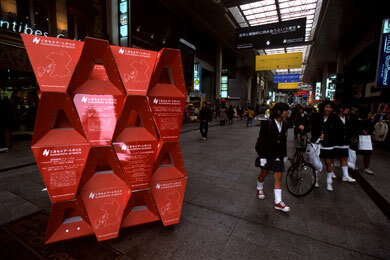 Good Design Award 2001 (Communication Design Category), Japan. Commercial Space Design Second Award, 2001, Japan. 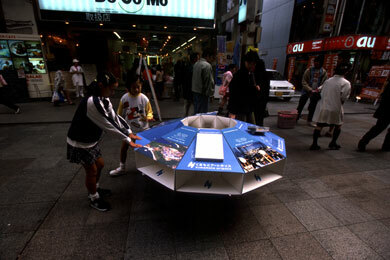 P-U (Paper - Unit) was made of corrugated paper. 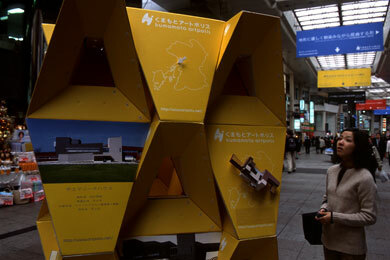 Architectures of Kumamoto were exhibited by models, photographs and maps. 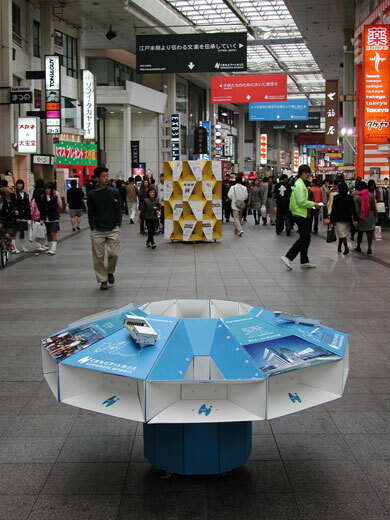 This exhibition was held in a shopping street. Models were also made of paper. An arch made of P-U.